Black Friday. Small Business Saturday. Cyber Monday. Giving Tuesday. So many ways to spend your well-earned paychecks in the days following Thanksgiving and leading up to Christmas. I thought I’d take a quick glance at some of the quirky foodie finds that you can find out there this year. All of these items were found at a local CVS pharmacy in the metro Boston area so you may not be able to find all of these in your area. I’ve tried linking to online shopping sites that carry the items, if you’re curious. 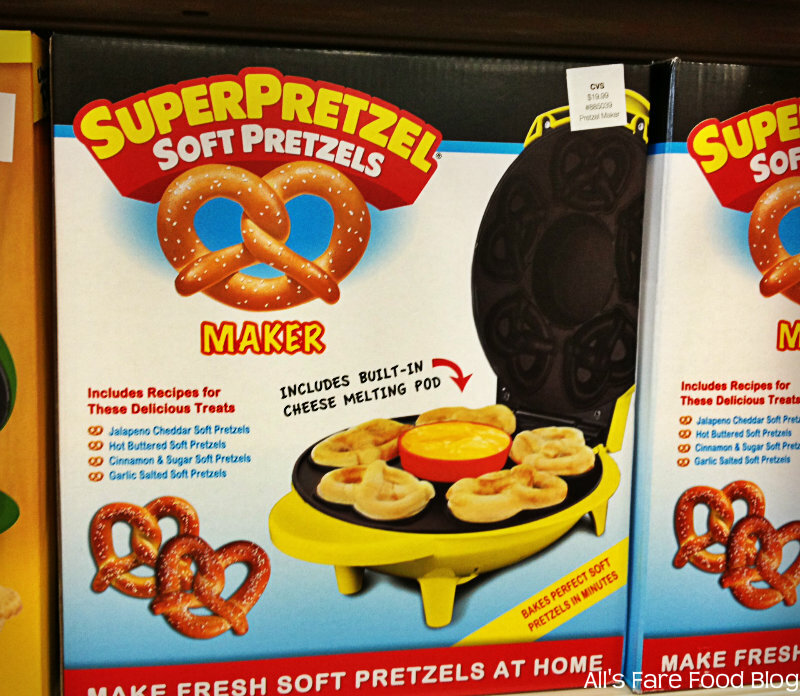 The first item on our wish list is this Super Pretzel maker. Now, you can bring home that soft-baked pretzel taste from the ballpark. 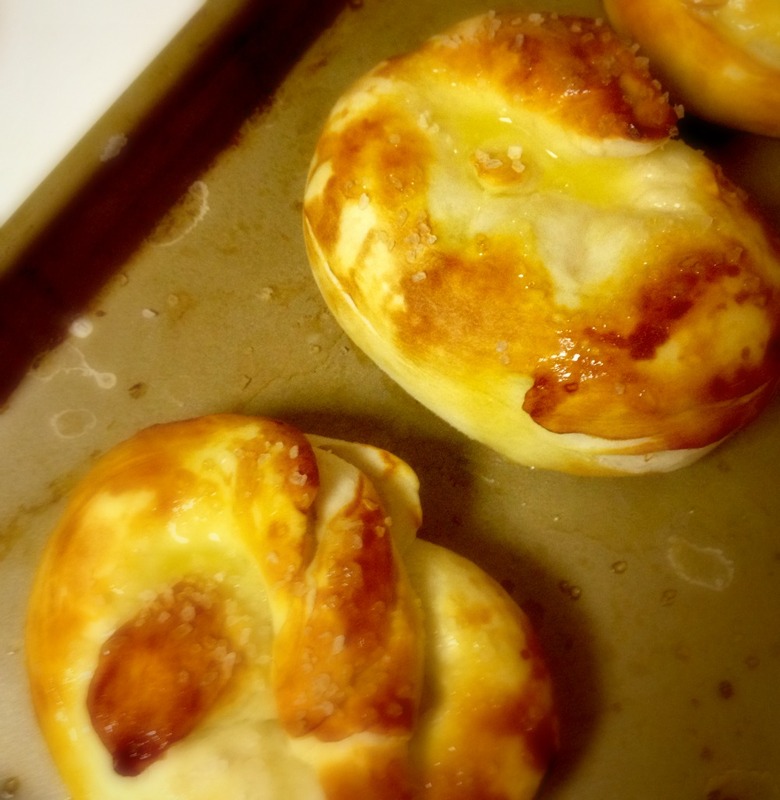 You can make five mini soft pretzels and warm up cheese for dipping. It also comes with a recipe book. In the store, it sells for $19.99. Buy online here. I love autumn. Besides all the bad migraines it brings me each year, I absolutely love the changing colors on the trees, the pumpkin and apple cider drinks, going to the pumpkin patch and wearing chunky wool sweaters with boots. Today, we stopped at Starbucks to enjoy some of their new fall offerings. I totally indulged in their new salted caramel mocha. Wow — this drink is smooth! Brett enjoyed a (decaf) pumpkin spice latte, which was equally autumnal. 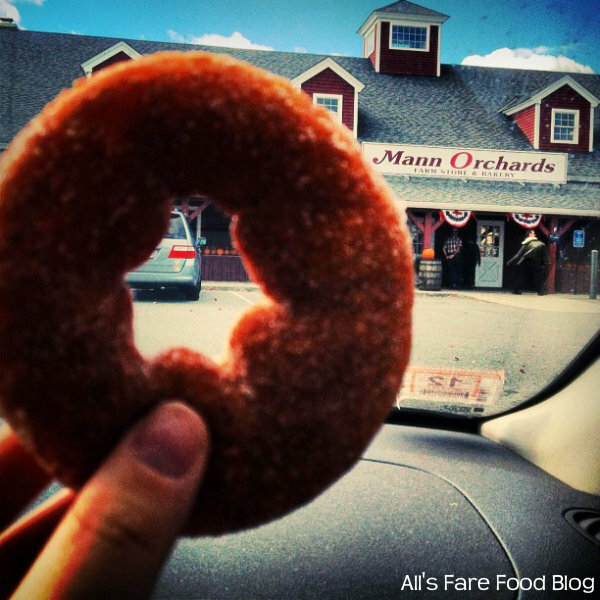 Then, we dropped by Mann’s Orchards and Bakery for some of their apple cider donuts. Just stepping out of the car, we were accosted by the warm, inviting smell of these yeasty treats. They were absolutely incredible! A sugary coating and a fluffy interior. I’m just drooling thinking about what these would be like right out of the fryer. So, what’s your favorite fall food? Leave a comment below! A few weeks ago, I told you that I was having issues with a stomach bug. Well, it turns out it’s not a stomach bug but some other undiagnosed issue. At the moment, I’m under doctor’s orders not to have any dairy, until further notice. A super-hard task for a Wisconsin girl, who is used to a daily diet that includes a healthy amount of cheese, yogurt and milk. So, I have a few weeks until my first colonoscopy – which will hopefully lend some clues to why I’m not feeling well. The thought right now is that it possibly could be Celiac Disease, or a gluten intolerance. I’ll keep you posted because it will definitely change the tone of this blog if I do end up having some sort of food allergy. Now, I still have a pretty healthy appetite – and that includes my sweet tooth. For the most part I’ve been really good – I’ve snuck a few pieces of chocolate here and there, as well as some small nibbles of frosting from cupcakes. But, I do miss my frozen yogurt and ice cream, even my morning Kefir smoothie. So, we decided to buy this as-seen-on-TV gadget called Yonanas, based on a recommendation from my friend Stacey. You simply need to freeze those overripe bananas that you were going to toss in the garbage or bake into banana bread. Then, you can add other frozen fruits, peanut butter and other add-ins for a frozen treat that comes out in the consistency of soft serve ice cream. If you don’t use bananas in the mixture, but just frozen fruit – like strawberries, blueberries, or mangoes – it comes out in a sorbet texture. My dear readers, it has been much too long since my last post. Work has been crazy! Last week, I unexpectedly needed to travel to Florida for a great story about a graduating senior from Florida Institute of Technology, who is spending his summer biking 4,700 miles across the U.S. to raise awareness about scleroderma, the disease that took his father’s life in 2010. He also will give any of the donations he receives to the Scleroderma Foundation (where I work during the day) for its research grant program. I highly suggest you read some more about Wade and his inspiring story! Anyways, I had a bit of free time, so obviously, I took the opportunity to do what I love best – tour Disney! I had a few hours over at Downtown Disney and good chunk of Sunday afternoon at Epcot. Above, you’ll see some chocolate. 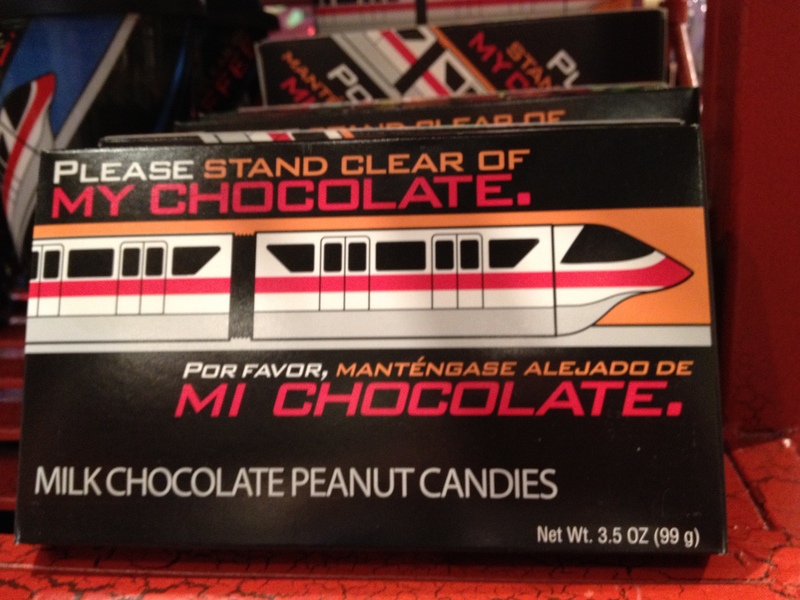 Not your ordinary chocolate bar – this one is emblazoned with a tongue-in-cheek jab at the famous line you’ll hear as you board the Monorail, “Por favor mantengase alejado de las puertas” (please stand clear of the doors). But this one translates to “Please stand clear of my chocolate.” Awesome! This candy is a milk chocolate covered peanut. Another candy option was this one featuring Jessica Rabbit from “Who Framed Roger Rabbit” (wow, haven’t seen that classic in a long while!) 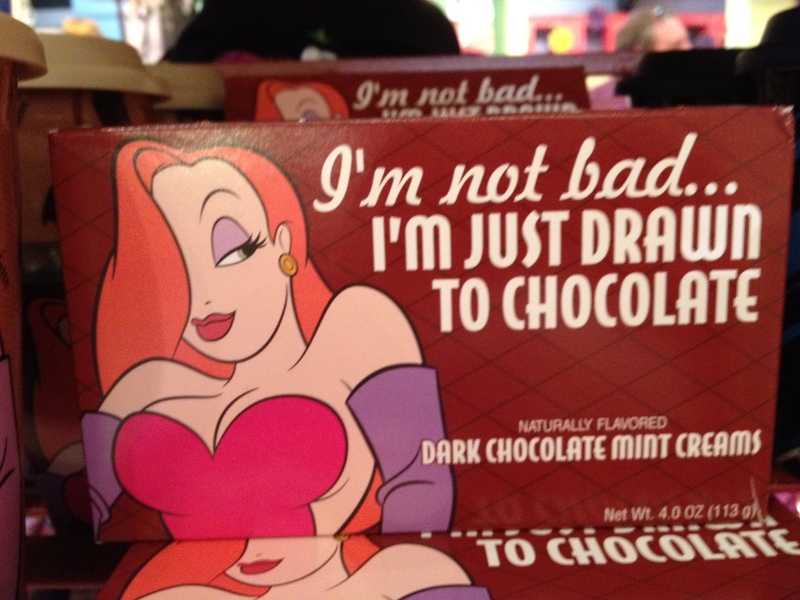 It pokes fun at her infamous line, “I’m not bad, I’m just drawn that way.” These candy items are dark chocolate mint creams – I’m thinking something along the lines of a Peppermint Patty. 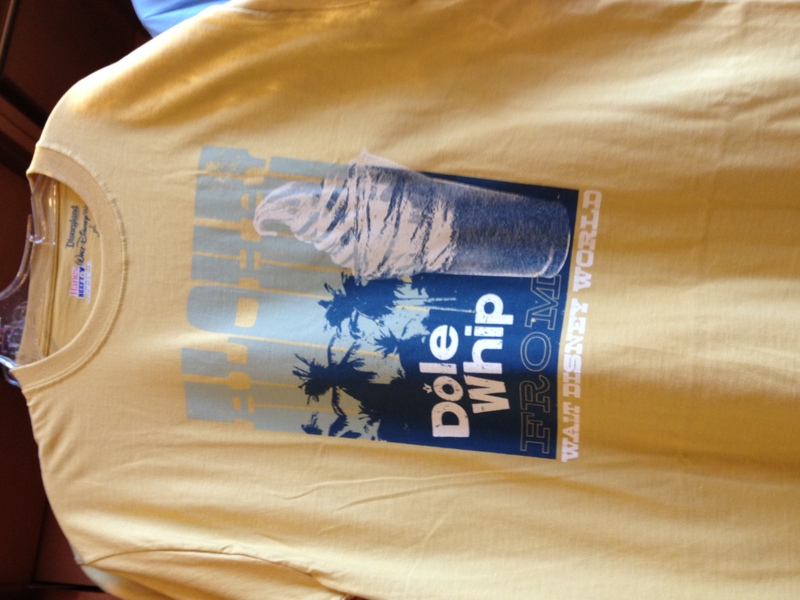 So, this one also is $21.95 and also available online through the Disney Store. 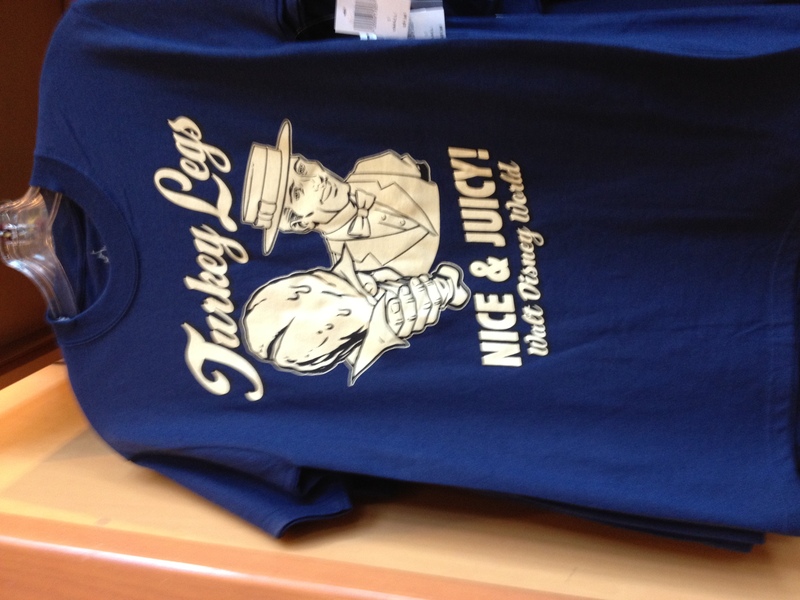 Anyone else think the “nice and juicy” tagline is a little racy for Disney’s brand or is that just me? 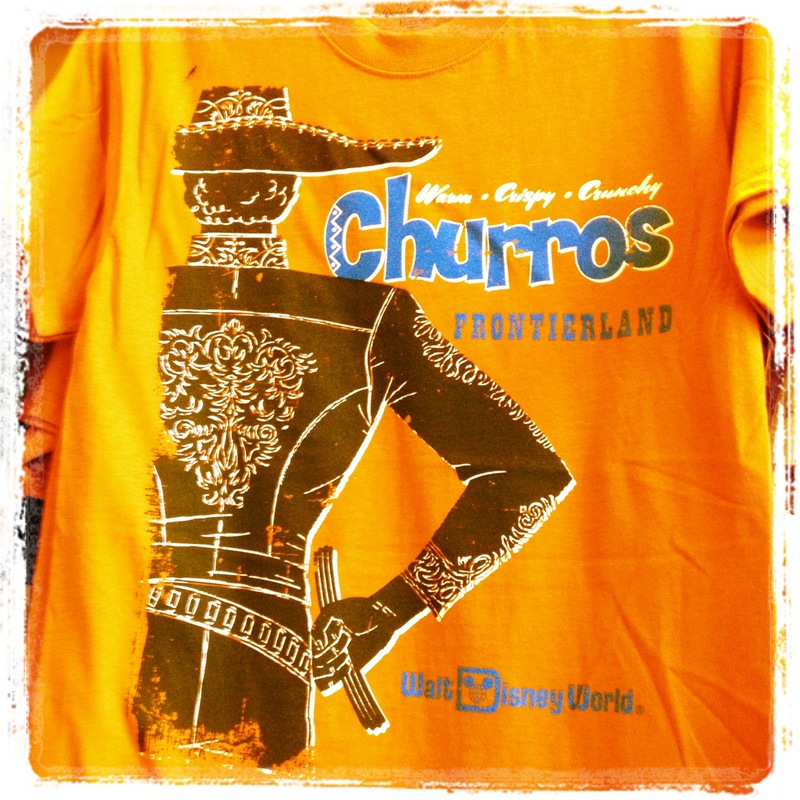 The final tee-shirt item for the theme park food lover is this one for the churro. It features a mariachi-band member holding one of the crunchy, cinnamon treats by his side. Again, this shirt is $21.95 and available online. And finally, I bring you your cuteness factor for the day. This little onesie for the youngest foodie in your life is perfect! 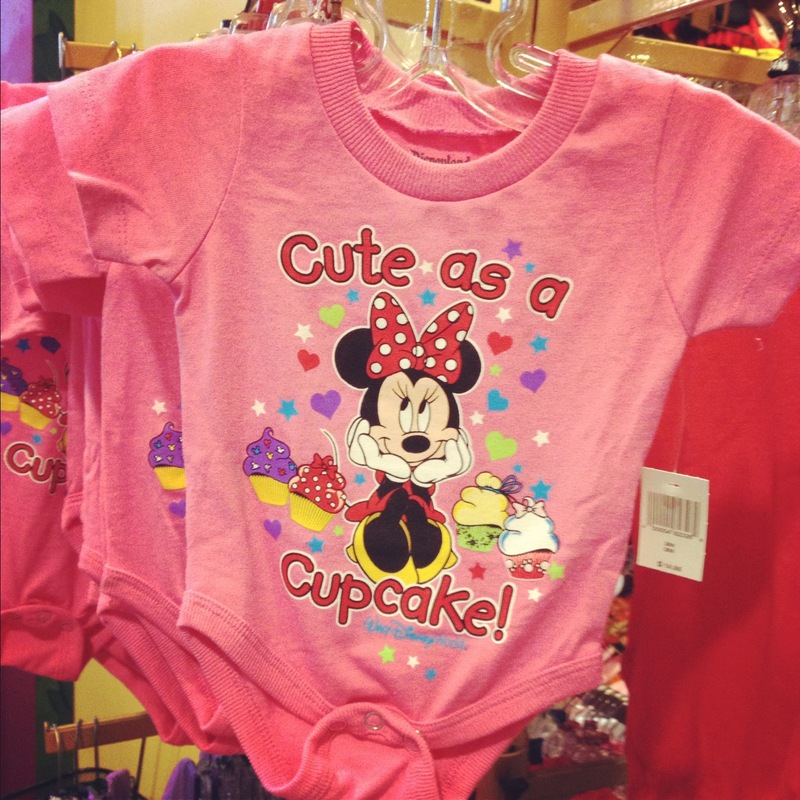 It features Minnie and reads: “Cute as a cupcake.” Oh…this one will be perfect for that little one someday in the future! Growing up in Milwaukee, one of my fondest memories was the constant smell of yeast from the breweries that just permeated the air. But one of the best yeast smells from the Brew City was whenever we drove on I-94 going toward downtown Milwaukee. Just east of County Stadium, what now is Miller Park, there was a little brown brick factory nestled next to one of the off-ramps. I remember driving by with my mom, who would always have her window cracked just a bit whenever we drove (a little thing I need to do now whenever I’m in the car), but as we got to this brown building – with its towering chimney and the white plumes of smoke hovering over the Menomonee Valley, she would open all of the car windows to let in the vibrant scent of yeast. It just filled the entire car and I inhaled the effervescence with pure joy. That brown factory building was home to Red Star Yeast company. In 2001, the company was sold to a French firm and in 2004 a joint-venture took it over. Today, while Red Star Yeast no longer is manufactured in Milwaukee, there are still factories in Alabama and Iowa. But the Red Star corporate headquarters remains on Milwaukee’s west side near Wisconsin State Fair Park. I love dark chocolate. So whenever I get one of those Hershey’s sampler bags with milk chocolate, Special Dark, Mr. Goodbar and Krackle, I always hoard the Special Dark mini-bars. I absolutely adore them! A few weeks ago, I got myself my first set of 8-inch cake pans at the President’s Day Sale at the nearby Calphalon Outlet Store. I have been searching for the first layer cake recipe to try and when I came across this one by Hershey’s, I knew I had found gold! Now, while the recipe calls for a 9-inch set of pans, I was able to make it work in my smaller set. 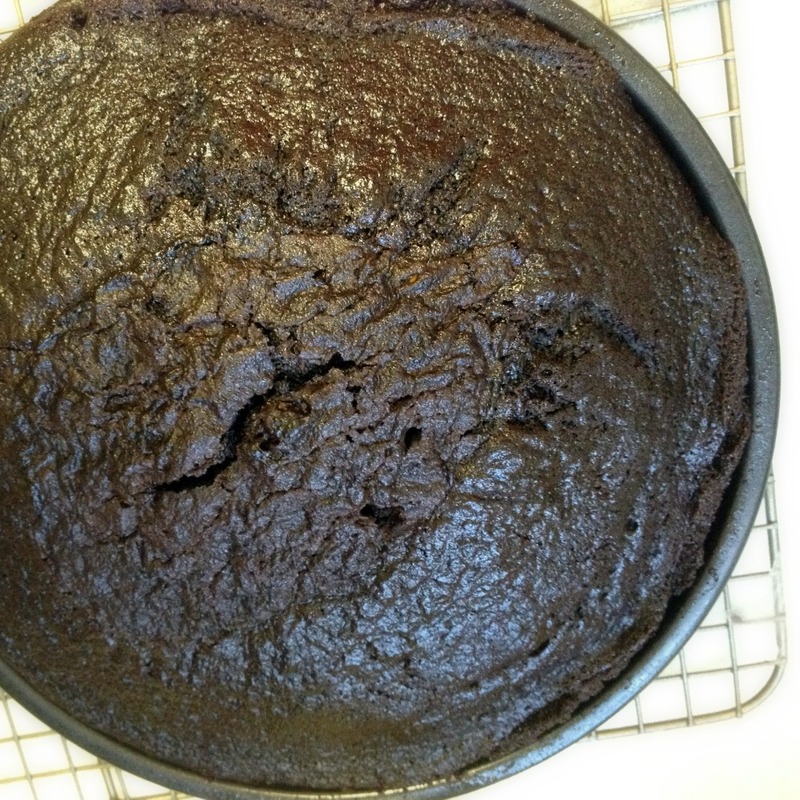 I just had to carefully level the cakes, once they had cooled, since they had risen so much from the pans. 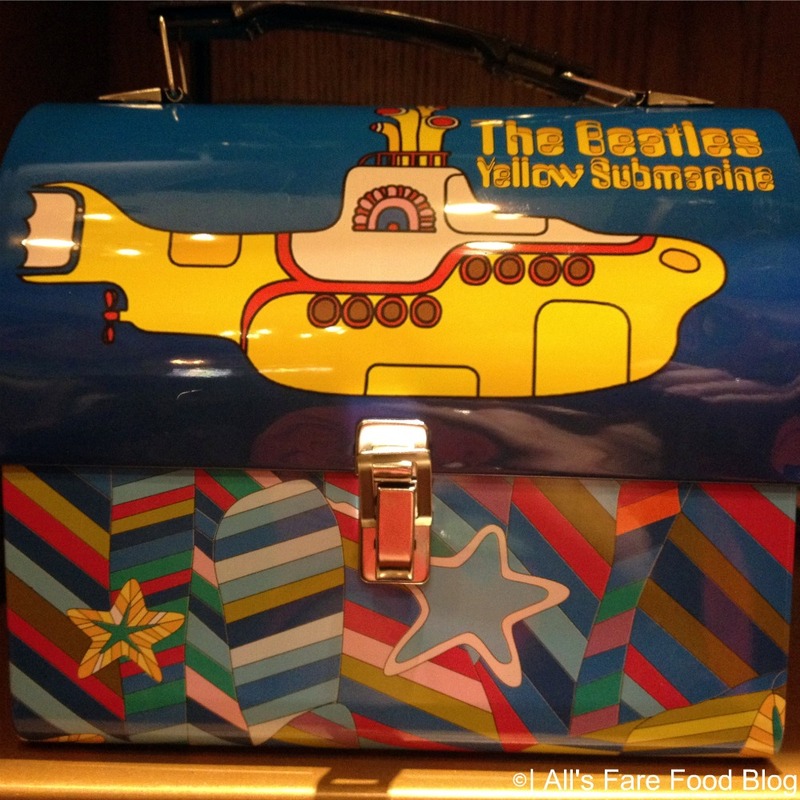 One of the gifts you can find in this British treasure trove is an aluminum Yellow Submarine lunchbox that features artwork from the 1969 animated film of the same name. Beatle Trivia: Yellow Submarine originally appeared on the Beatle’s 1966 album Revolver, which also featured the single Eleanor Rigby.